Today our world is one of constant compromises. When 24 hours in the day just doesn’t seem like enough, we rob Peter to pay Paul. I can’t tell you how many times I’ve been forced to choose between the sleep I know that I needed, and the things still left to do that day. So it is no surprise that one of the first things that we compromise on is what we choose to eat. Like any compromise, this one carry’s with it potentially catastrophic consequences. It would be oversimplifying things to just say that too many trips to a fast food spot or too many large dark sodas will make you overweight. While many of us do try and watch our waist line, the more serious negative side effects to poor diet and nutritional choices are far more concerning. Doctor’s note that those people who routinely make poor choices with their diet are more likely to suffer from decreased energy levels, mood swings and anxiety, decreased drive, and lower cognitive function; not to mention the propensity to more serious diseases like diabetes and heart disease. Eating right and maintaining proper health and nutrition is about so much more than living longer and looking better. When we eat better and make healthier choices with our bodies, our brains cope with stress much better, and if your life is anything like mine, you want every mental advantage you can get. But where to begin? Walking into a health food store can be more than a little daunting. Words, phrases, and ingredients that you may never have heard of along with the seemingly endless list of benefits (both real and claimed), to this food or that shake can make your head swim. But worry not; I’ve compiled a list of some of nature’s staple organic foods and their benefits on your brain and body as well as some scientifically proven shortcuts. These little legumes are a power house of nutrients. Adding them to your salad is a great way to enjoy their earthy, nutty flavor and their health benefits are many. With a high content of soluble fiber, magnesium, and folate, lentils are a great food source to help lower your cholesterol and reduce your risk of stroke or heart disease. If you are plagued by constipation, adding lentils to your diet is a great way to increase your intake of insoluble dietary fiber, which is key to a healthy digestive track. Speaking of those good fibers, soluble fiber works to trap carbohydrates and slow digestion which will help stabilize your blood sugar levels. That’s what can make lentils such a smart pick for those with diabetes or hypoglycemia. Lentils have the third highest protein levels of all nuts and legumes with up to 26 percent of their calories made up of protein; a great protein source for vegans and vegetarians. Lastly, lentils pack a lot of iron, the mineral responsible for transporting oxygen to your muscles and brain, giving you steady energy throughout your day. This wonderful fruit has the unique characteristic of being high in healthy fats rather than the typical carbohydrates found in most other fruits. Avocados contain 20 different minerals and vitamins and more potassium than a banana. This makes them a great food choice for reducing blood pressure, which in turn will lower your chances of heart attacks, kidney failure, or strokes. With 77% of their calories coming from monounsaturated fatty acids, they are incredibly heart healthy. Avocados also contain oleic acid which has been shown to not only reduce inflammation, but also have a positive effect on genes that are linked to certain cancers. As we age, having good fiber levels becomes more and more important. These super fruits are loaded with fiber, which in turn equates to a better metabolic health. No matter what diet you’re following, you’d be hard pressed not to find room in it for mushrooms. High in antioxidants and low in carbohydrates and calories, they have been used for centuries for their healing properties. Mushrooms are effective and efficient boosters of immune systems and come packed with tons of important enzymes, minerals, and nutrients. They have been shown to inhibit the effectiveness of viruses, thereby decreasing both the severity and the duration of an illness. In fact, over 200 different mushrooms have been used for centuries in china in the treatment and prevention of cancers; with a quarter of these being found to successfully fight tumors. Since mushrooms make up a large family of fungi, certain ones will work better for certain things. Be sure to check into the leading benefits of your favorite mushrooms and you may just be surprised at what these super foods are doing for you! Where does the list even begin when talking about the nutritional benefits of clean, organic broccoli? You could mention its cancer fighting abilities, or its ability to slow down the aging process, or maybe how it promotes better bone and eye health, or even its abilities to protect the liver and detoxify the blood. The list goes on and on for this cruciferous super green. The American Cancer Society recommends eating broccoli and other cruciferous vegetables several times a week. One added benefit to eating plenty of broccoli is the high levels of vitamin C (100% of your RDA in just 1 cup), it will aid in collagen production and slow the effects of aging in your skin. I remember growing up and seeing bell peppers in my food. I’d quickly turn up my nose and devise clever ways to hide them on my plate despite my father’s firm assurance that they were just there to add color to the food. I couldn’t imagine such an absurd reason to put such a terrible ingredient into a meal. Now that I’m the one trying to convince my children that certain foods are on their plate for innocuous and benign reasons, I’ve come full circle to the bell pepper. But make no mistake; these sweet and colorful peppers bring a lot to your table. Packed with vitamin C, they’ll keep your immune system running in top shape. Just make sure that you choose the red ones if you’re after the vitamin C, as these ones have the most of it. Red bell peppers also have various phytochemicals and carotenoids which have anti-inflammatory properties. Bell peppers have capsaicin which studies have shown to reduce bad cholesterol, ease pain, and help control diabetes. Your nervous system will also thank you as bell peppers have vitamin B6, which is a key vitamin in the health of your nervous system. So the next time you find yourself having to convince your kids to eat their peppers, you’ll have more to work with than just aesthetics. Getting all of your essential vitamins and nutrients from fruits and vegetables alone is certainly possible; albeit with considerable effort and a very open mind. There are limitations to what you can get from just your diet alone however. Soil quality across the country is often overworked and thus devoid of essential minerals needed to deliver the full complement of nutrients to the plants that grow in it. Additionally, if you’re like me then there are certain vegetables that no amount of benefit would convince you to eat, (think cauliflower). We can try to make up for it by using a reputable and proven multi-vitamin, but despite the nutrient-loaded labels, your body is simply not able to process those levels of vitamins and nutrients in that form of delivery. That’s where organic green mix super foods come in. Bridging the gap between vegetables in their raw form and the pound-for-pound convenience of a multi-vitamin, these mixes not only offer you the best of both worlds, in many ways they exceed them. Growing in popularity, you’ve likely seen them around by now. Still, like anything else, there are ones that will give you more bang for your buck and ones that are probably ridding on the coattails of proven success these concoctions are leading. Produced by HealthForce, this nutritionally dense organic green superfood powder supports blood sugar levels, detoxifies the blood, enhances the immune system, and improves organ function such as the liver, kidneys, brain, and pancreas, just to name a few. If you were to take the benefits from any 10 different green vegetables and put them into one, this is what you would have. 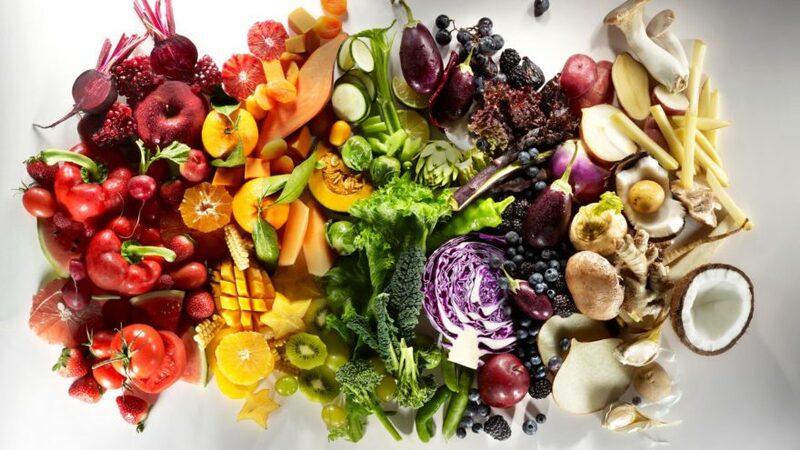 Hosting the full spectrum of natural, absorbable vitamins, minerals, amino acids (for protein), fibers, phytonutrients, and other synergistic, organically-bound nutrients, it would be difficult to add anything else with more benefit to your daily diet routine. Available in both a drink mix and pill form, you will have no problem working it into your meal plan. Made by Sunfood Superfoods, this superfood supplement helps strengthen the immune system and increases your body’s ability to assimilate nutrients. Aside from being made from powdered vegetables, it contains grasses, algae, aquatic vegetables, probiotics, and other wild foods. It is organic, however even though it does contain wheat grass and barely grass, (which do not have gluten as gluten comes from grains), it cannot be certified 100% gluten-free. Official classifications aside, this mix is well worth your consideration. If you thought the name contained a lot, wait until you read the ingredients of this green mix by Garden of Life. With a whopping 34 nutrient-dense greens, sprouts, fruits and vegetable juices, you won’t know where to begin with listing the health benefits. As for exotic ingredients, you won’t be disappointed either; with amaranth sprouts, kamut grass, pineapple, beet juice, spinach juice, ginger, and enzymes and probiotics just to name a few. As the name suggests, this powder is organic and also aides in healthy digestion, metabolism, and supports a healthy immune system. When it comes to packing a lot of value into a little scoop, this mix stays towards the head of the pack. Produced by Amazing Grass, this organic mix makes the list for the very simple reason that it makes a great starting point for you and your family into the world of super foods. Made with non-GMO wheat grass, broccoli, and alfalfa, not to mention a ton more hard-to-come by greens, it has a great foundation to make sure you and your family are getting all of the necessary vitamins and minerals, even when your regular meals don’t provide it. Helpful with digestion, energy, and the immune system, it’s a great way to get your feet wet into the benefits of the green super food lifestyle. Made by Paradise Herbs, this powder covers a wide range of benefits. With ingredients such as milk thistle, artichoke, acai, maca, a range of mushrooms, berries, grapes, teas, herbs, and more, you would be hard pressed to find a wider spectrum out there. The benefits you’re going to get from this mix range from antioxidants to nervous system health. What I like about this one is the sheer range of variety to the ingredients; it really is a well-rounded drink mix that without a doubt can benefit everyone in your household. These days, more and more a non-nutritious diet is more a matter of choice and education. Knowing the value and benefits of the things you eat is imperative to a healthy life, as is the willingness to choose those items that are better for you. From the full-spectrum of vegetables, fruits and nuts out there to the helpful multi-vitamins and drink mixes, you can still be quite a picky eater and at the same time still get a full complement of vitamins and minerals in your daily diet. If you are not already, educate yourself on just what you are eating and what you should be eating, and then set the example to your family and encourage them to also try new things that will benefit their health and life. We live in a time of information and innovation, and if you’re anything like me, you want to leverage those things into the utmost benefit for you and your family.